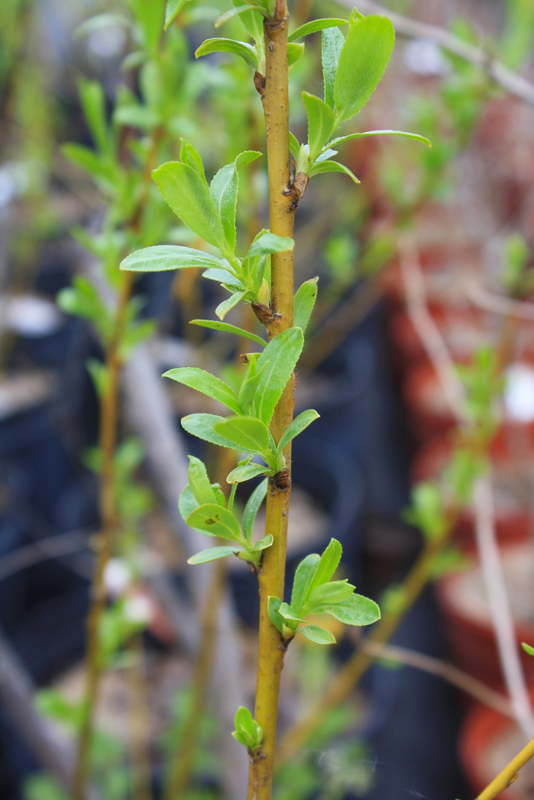 This willow has shiny dark green leaves which can help distinguish it from other willows. Does well in lowland and wet areas. Plant is dioecious meaning male and female are separate plants. Attracts pollinators. Important food source for pollinators early in the season.